Chiropractic care keeps the connection between the brain and body free of interference caused by the stresses of our daily lives. We look at the spine to locate and correct these disturbances as they are the underlying cause of all disease in the body. By correcting the interference, or subluxation, problems such as headaches, neck or back pain, acid reflux, asthma and allergies, constipation, colic, insomnia, difficulty concentrating, low energy and many more. The body is designed to adapt and to heal itself. All it needs is the ability to communicate freely with all its parts. As a new patient in our office, we will take to look for the cause of your complaints. Our goal is an optimally functioning body. As a side effect, most of your complaints will lessen or go away completely. Once we locate the cause, we will discuss a plan of action with you. This plan is based on what the advanced neurological scan done as part of your initial exam. We see you more often in the beginning so we can “train” your body to stay free of interference. After 12 visits, we will do a progress scan that will show us how your body function is changing. As we restore optimal function in your body, we will taper down how often we see you. As you complete your care plan, we will complete another progress scan and discuss your transition to wellness care. My ultimate goal is to still see you and your family 5, 10, 20 years down the road. We want to help you and your whole family live a successful and healthy life. We use a variety of techniques to get the best benefit for YOU. 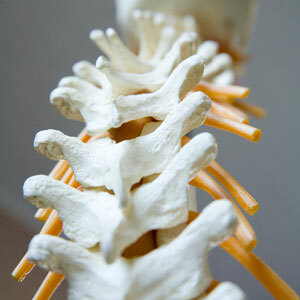 Every man, woman, and child should have a baseline check of their spine and nervous system. Knowledge is power and we want to put that power in your hands. We will always give our best recommendation for your care but the choice to take control of your health and your life is ultimately yours and we will support you any way we can.